Every bride dreams of the dazzling day when she’ll finally get to say “I Do” to the love of her life. Allure Films was able to capture Erica & Steve’s dream come true, when they exchanged vows at The Curtis Center in Philadelphia! From beginning to end, the entire day was filled with sweet moments. One of our personal favorites was the moment when Steve saw Erica in her wedding dress for the very first time. It was wonderful to see such a beautiful moment unfold. Steve was speechless! After their first look, Erica and Steve took us on a scenic tour of the city, where we captured plenty of breathtaking footage of the couple. The love and energy that these two share could be felt by everyone who saw them. When we stepped into The Atrium at Curtis Center for the ceremony, we were completely blown away by the stunning décor by Carl Alan Floral Designs. They always make every last detail amazing, whether big or small. The Curtis Center the perfect venue for this adoring couple. Enjoy this glimpse into Erica & Steve’s beautiful wedding day, and give Allure Films a call if you’d like to have our team capture your big day! 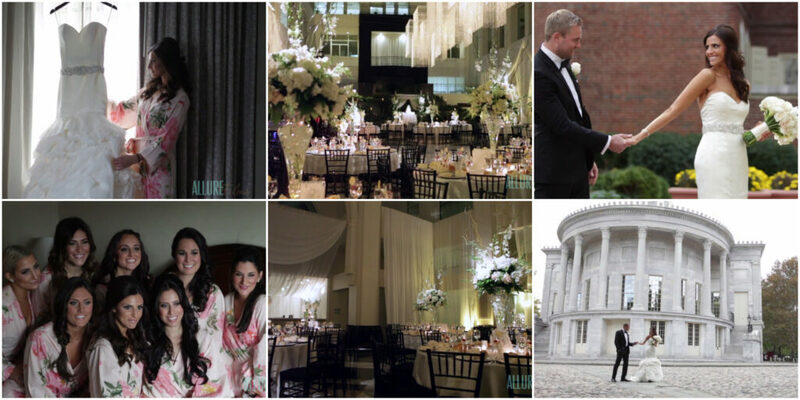 Join Kristen and Matthew at the Curtis Center for a lovely celebration of wedding day bliss! This historic location, nestled in the heart of Philadelphia, provides quite a stunning scene for all to see. Kristen and Matthew shared a beautiful ceremony and reception with all of their family and friends. We were so happy to be a part of their special day! Working along side the Philip Gabriel Photography team is always a treat. Synergetic Sounds and La Petite Fleur were also a part of all the magic. Enjoy this short preview from Kristen and Matt’s wedding day. 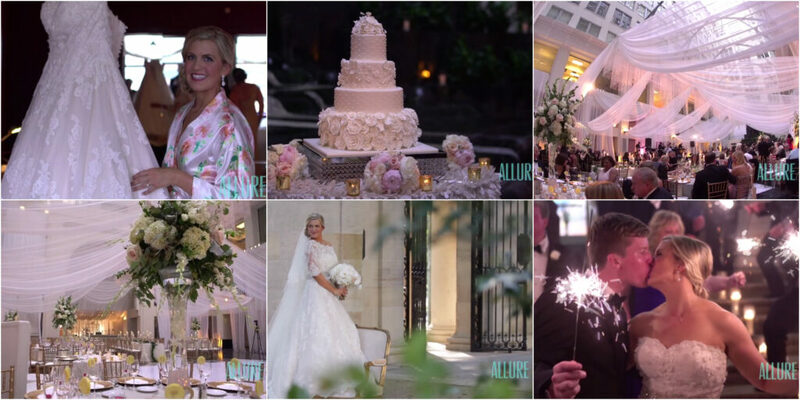 Congratulations and thank you for allowing the Allure team to be a part of your big day! Alyson and Brian exchanged vows at St. Rita’s, and celebrated their reception at Atrium at The Curtis Center. Alison Conklin Photography helped capture incredible memories through photos. Vincent James Band rocked the night away as guests gathered on the dance floor. Video One enjoyed being a part of Alyson and Brian’s wedding day, and wishes them all the best in their future together!